Lately, I’ve become fascinated by the aging process. That’s probably because I’m getting a little older and want my own aging to slow down. 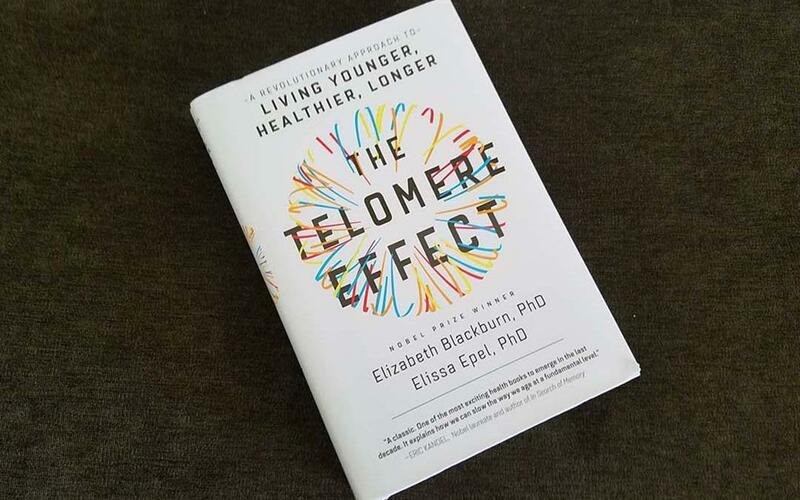 I recently read The Telomere Effect, a book about telomeres and their relationship to aging. Telomeres are a region of our DNA at the end of our chromosomes. Telomeres shorten with age, but the rate of shortening can be influenced by our lifestyle. Better diet, exercise, reduction of stress, and social support can slow the shortening process and in some cases can even increase the length of our telomeres. The authors of the book, Elizabeth Blackburn, PhD. 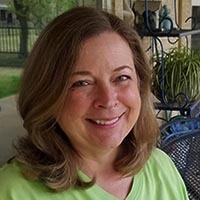 and Elissa Epel, PhD., provide a relatively easy to understand explanation of telomeres, the aging process, and suggestions on how to protect our telomeres. The book has several worksheets that assess factors in our lives that affect our telomere length. Toxic stress has a large impact on our telomeres. Some stress actually can be good for us if it’s short term and manageable. For most of us, stress is unavoidable. However, by changing our response to stress, we can reduce the impact on our telomeres. If we respond to stress by feeling challenged and confident instead of threatened, we can help to protect them. Weight alone is not a good indicator of telomere length. Our body types (pear or apple) provide a better indication. Apples, who have more belly fat, are more likely to have shorter telomeres. Dieting has mixed results on belly fat and consequently our telomere length. Extreme weight loss over a short period time and yo-yo dieting can shorten our telomeres. Foods associated with shorter telomeres include red and processed meats, sugar, saturated fats, and Omega-6 polyunsaturated fats. Foods associates with longer telomeres are whole grain fiber, vegetables, nuts, legumes, fruits, fish with Omega-3 fats, and Vitamins D, B, C, and E. A more detailed list of foods and supplements and telomere friendly snacks are included in the book. The right kind of exercise is key to longer telomeres, too. Moderate aerobic exercise and HIIT – high intensity interval training (short bursts of heart pounding exercise) appear to have the best results for our telomeres. People who exercise not only have longer telomeres but also live longer lives, have less chance of high blood pressure, stroke, cardiovascular disease, depression, diabetes, metabolic syndrome, and dementia. It should be noted that too much exercise actually can have a negative effect on our telomeres. Other factors that affect our telomeres are the environment and social support. Exposure to chemicals including those in the air we breathe and food we eat and lack of social connections can shorten our telomeres. I am working on many of the book’s recommendations. When I find myself in a stressful situation, I try to find the challenge in it instead of feeling threatened. In addition to walking on my treadmill every day, I have added high intensity interval training to my exercise regimen. I’m evaluating the supplements I take to see where I should make changes. I already eat a mostly plant based diet with some fish, but I should reduce the amount of pasta (processed food) that I consume. Hopefully, my telomeres are shortening at a slower rate and possibly even lengthening. My goal is to live to 100 with my mind and mobility. I found The Telomere Effect fascinating and very educational. It was recently published so the information is up to date. The book provides guidance for protecting our telomeres and living a long and healthy life. I highly recommend it to everyone no matter your age or health. Like the Facebook page for additional information, tips, and conversations with the authors.